As you know, 40 years ago Jimmy’s hit song “Margaritaville” made its debut. Since its release in 1977, it’s been the soundtrack to our vacations, an instant party starter and the first song we put on when we want to enjoy a round of margaritas with friends. 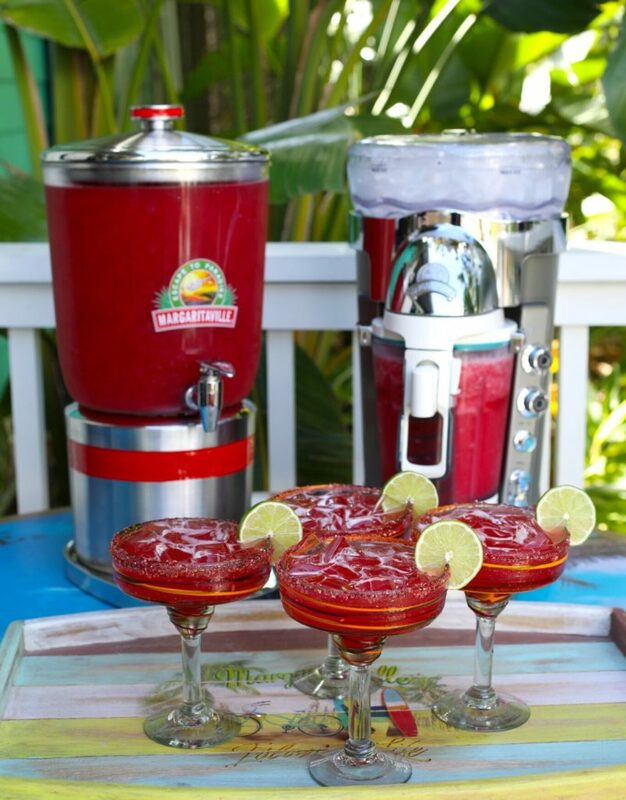 This fall, celebrating 40 years in a Margaritaville state of mind, Margaritaville has unveiled a $1,977 Ruby Margarita…because rubies are the traditional 40th anniversary gift. 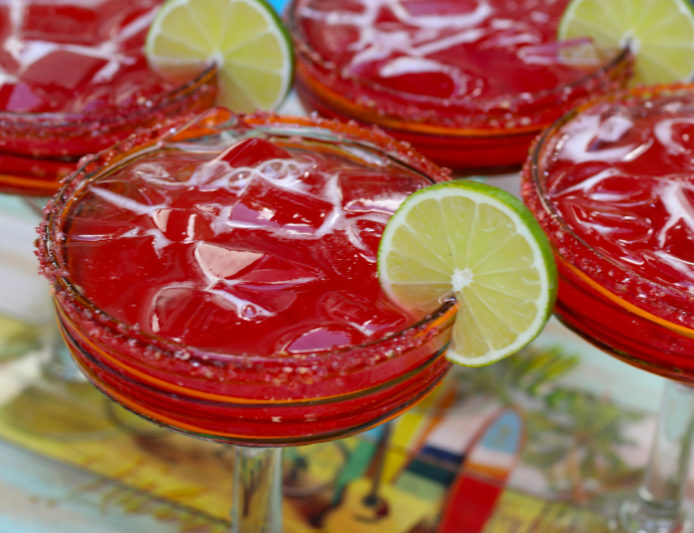 The drink is served in a party-sized batch that’s ideal for sharing with up to eight friends. The best part? It comes with a Margaritaville Frozen Concoction Maker®, Margaritaville Beverage Dispenser, Margaritaville Party Tub and eight Margaritaville Margarita Glasses, all of which you can take home. two-year anniversary celebration November 17-19. For those looking to celebrate with a more affordable option, a $19.77 version of the Ruby Margarita, served in a souvenir blender cup, is available all November at Margaritaville restaurant locations across the U.S.
Add all ingredients to a mixing glass and shake. Pour into an ice-filled glass. Garnish with ruby red sugar and a lime wheel. Cheers!